Picture day is scheduled for Wednesday, October 31st! All scholars must be dressed in their Wednesday uniform. More information will be sent home in your scholar's book bag. at The Palladium at 3:00. High school and Early High scholars reading the book get priority. Reserve your seats in the front office with payment. Point families are invited to wear costumes and trunk or treat while viewing decorated cars in the school parking lot. For more information or to reserve a spot for your decorated vehicle, contact Ms. Bates at tbates@thepointcollegeprep.org or 336-676-2053. There will be a costume contest, trunk decoration contest, face painting, pumpkin decorating, games and more! 1st - 6th grade scholars are invited to hangout with their teachers on Saturday, Oct. 20 from 2:00 - 5:00 PM at Barnes & Noble in High Point. All scholars leave with a free book courtesy of The Point. Click the link for more details and to watch a video. Sign up with your scholar's teacher. Parent Pride volunteers are welcome to chaperone. Several of our scholars have taken advantage of our BYOD initiative. If you would like to purchase a computer for your scholar, we have some resources for you! Also, check out our school technology/internet policy and discuss it with your scholar. 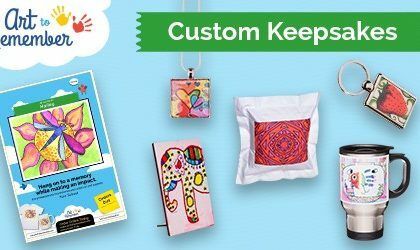 The Point is participating in a creative fundraiser with Art to Remember that allows you to purchase keepsake products customized with your child's art. Right now, students are busy creating colorful, fun artwork and soon you will receive a personalized order form.